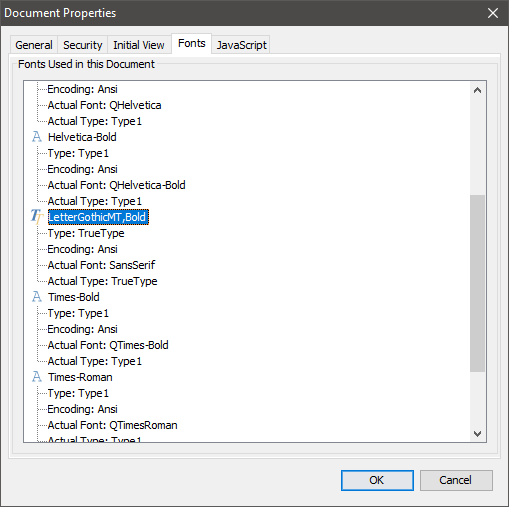 Q: The document does not display correctly in PDF Studio and I think it’s because of missing fonts. How can I identify which fonts are missing? Click on Fonts tab, go through all fonts on the list and look for the font name found in step #2. Any font that is not found on the System will be automatically replaced with a similar font. If the font has been replaced you will see an “Actual Font” listed below the font name. 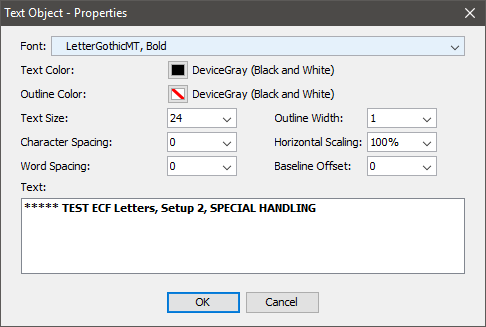 In the below example you can see that “LetterGothicMT, Bold” is being replaced with “SansSerif“. Try to locate and install the missing font onto your system. After installing missing fonts, the document should then display correctly.